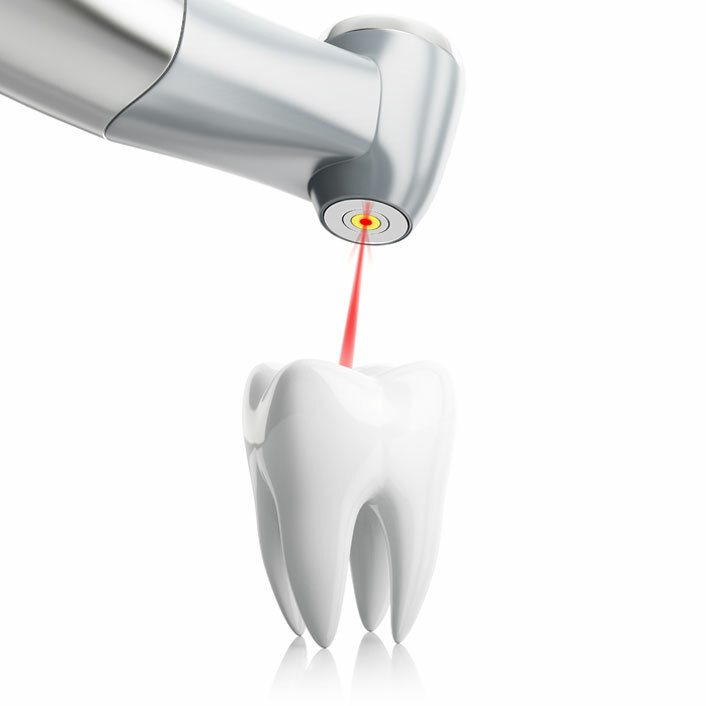 Soft tissue lasers are used to safely remove soft tissue, such as excess gum tissue. The soft tissue laser can also be employed to destroy bacteria in gum pockets, preventing infection and allowing the tissue to return to a healthy state. The soft tissue laser enables the dentist to treat our patients with extreme accuracy and eliminates the need for most stitches.